against the Michigan High School Athletic Association (MHSAA), based on their refusal to allow Ellis to have a sign language interpreter ring-side during MHSAA sponsored events. Ellis, who is a triple varsity letter winner at Royal Oak High School in Michigan where he is a senior, was informed during his junior year that his interpreter—provided by his school—would not be allowed to be ring-side during MHSAA sponsored events. Managing Partner Jason Turkish recently visited Gary, IN to speak to celebrate the one-year anniversary of the opening of The Blind Social Center, a Gary based group who works to expand opportunity for the blind. The Blind Social Center is a cutting-edge organization that provides training, services, and a warm social environment for individuals who are blind. On August 21st, the Blind Social Center celebrated its one-year anniversary by hosting a “Dining in the Dark” event. Partners Jason Turkish and Melissa Nyman were able to successfully negotiate a settlement with the Wayne County Airport Authority, on behalf of clients Michael Harris and Karla Hudson. 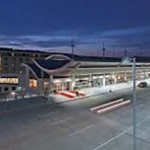 Harris and Hudson, sued the WCAA, claiming its decision to move the drop-off location for Michigan Flyer from curbside at International Arrivals, across the street, and 600 feet down violated the American’s with Disabilities Act. ADA Challenge to Requirement that Blind Runners Wear "Black-Out Glasses"
Aaron Scheidies has been losing his sight since he was nine years old. 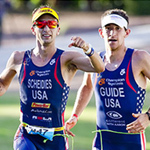 Despite this extreme challenge, Scheidies has established himself as one of the most accomplished triathletes in the world. However, his success was threatened when USA Triathlon and The International Triathlon Union ordered that he wear blackout glasses during the running portion of triathlons sponsored by the two groups. 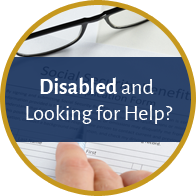 Are you unsure about whether you qualify for disability benefits? Do you have a condition that prevents or limits your ability to work? 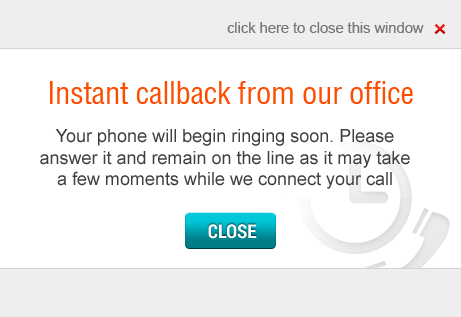 Have you been out of work, or expect to be out of work, for at least 12 months? 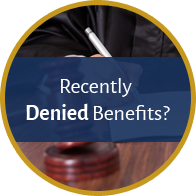 Was your Application or Request for Reconsideration Recently Denied? Do you disagree with the decision Social Security made on your claim? Are you looking for an Attorney to represent you at your hearing? Have you suffered injuries or damages due to the actions of a medical professional? Melissa Nyman is a Partner of Nyman Turkish PC in the California office. Melissa is a passionate and zealous advocate for her clients. Spencer Nyman is a partner of Nyman Turkish PC. Spencer oversees the firm’s marketing and Social Security Disability client intake process. Jason M. Turkish is Managing Partner of Nyman Turkish PC, a litigation and disability law firm with offices in California, Florida, and Michigan. Jessica Turkish, J.D., M.A. is a partner at Nyman Turkish PC and specializes in our Social Security Disability practice. With a professional background in clinical psychology, Jessica possesses a unique skill set that makes her an ideal disability advocate. 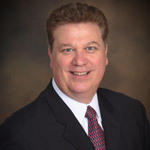 William Turkish is the preeminent Social Security Disability expert in America. As a sustaining member of the National Organization of Social Security Claimant’s Representatives (NOSSCR). 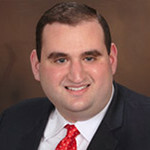 Ryan Kaiser is an associate at Nyman Turkish PC in the Southfield, Michigan office. 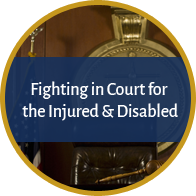 Ryan specializes in litigation and provides support to our Social Security Disability practice. 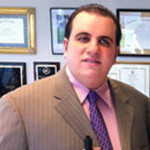 Albert DiRocco is an Associate in the California office of Nyman Turkish PC. Albert prides himself on fighting passionately and earnestly for his clients with Social Security Disability claims. George is a retired Social Security employee, who came to Nyman Turkish with firsthand knowledge of the inner-workings of the Social Security Administration. Cheryl Norgart is a case manager in the Florida office. Cheryl joined the Nyman Turkish team in 2010, following 18 years of experience in banking. ennifer Surges is an intake specialist at Nyman Turkish PC. Jennifer’s prior experience with United Law in Roseville, CA taught her the skills necessary to thrive in at Nyman Turkish. Megan has been with Nyman Turkish since 2015. She earned her Bachelor’s Degree in Political Science from the University of California San Diego with a minor in Communications. Beverly’s extensive experience working on Social Security claims is unmatched, making her an ideal resource for our clients. Morgan Dixon is an intake specialist in the Rocklin, California office of Nyman Turkish PC. Rachel Achatz is the Director of Client Services at Nyman Turkish PC. She has a diverse background in customer service and healthcare, which makes her an excellent resource for our clients. Meghan is a case manager at Nyman Turkish PC. She specializes in the application process, ensuring that our clients present a complete and thorough application to the Social Security Administration. Maggie is a case manager at Nyman Turkish PC. Maggie is kind and helpful, which is important given that she is often the first point of contact for our clients and potential clients. In addition to fielding phone calls, Maggie assists our client intake team with the processing and filing of social security disability applications. Amy Campbell is a case manager at Nyman Turkish PC. She has an extensive background working in the legal field. She previously spent six years working for a litigation copying service, which included handling medical records and processing subpoenas. Emily Fenn is a case manager at Nyman Turkish PC. Emily graduated from James Madison College at Michigan State University, with a B.A. in Comparative Cultures and Politics, and a minor in Muslim Studies. Evan Bautista is a client intake specialist at Nyman Turkish PC. Before coming to Nyman Turkish, he worked as a Marketing Intern for Amador Vinter’s Association promoting the region’s red wines. Kelsee Angell is an application specialist at Nyman Turkish PC. She enjoys working at Nyman Turkish because of the opportunity to help those in need. Before joining the Nyman Turkish team, Kelsee worked in the Labor and Delivery Department at The University of Michigan Hospital. Rebecca Scott is a case manager at Nyman Turkish PC. She graduated from Wayne State University with a B.S. in Public Health and Philosophy: Law and Ethics. Before joining Nyman Turkish, Rebecca worked as an Administrative Assistant with AMCOL Corporation, as well as a Sales Associate at Lilly Pulitzer. Reed Powers is a case manager at Nyman Turkish PC. He graduated from The James Madison College of Public Affairs and International Relations at Michigan State University with a major in Political Theory & Constitutional Democracy and a minor in French. 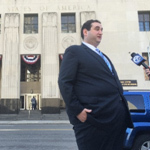 Reed previously worked as an intern at the Kelley Cawthorne Lobbying Firm, and he also completed a summer internship at the 54B District Court in East Lansing in the Probation Department. Jacquelyn Zuniga-Calderon is an application specialist at Nyman Turkish PC. She specializes in assisting clients with the filing of the initial application for Social Security benefits. Jacquelyn previously worked for the City of San Diego Parks and Recreation Department as an Assistant Center Director. Stephanie Nagel is a legal assistant and the receptionist at Nyman Turkish PC in the California office. She enjoys working at Nyman Turkish because of the positive work environment and opportunity to help those in need. Riley Wesemann is a case manager at Nyman Turkish PC. She earned her B.S. in Political Science from the University of Utah with an emphasis in Public Policy. Before joining the Nyman Turkish team, she worked as a legal assistant for George Tait Law, LLC in Salt Lake City, primarily focusing on personal injury cases. Lacy Canzoneri is a case manager at Nyman Turkish PC. She earned her B.S. from Central Michigan University in Sociology and Criminal Justice. She also interned in the Wayne County Prosecutor’s Office. Taylor Watson is a legal assistant and receptionist Nyman Turkish PC in the Michigan office. Taylor is currently studying Finance at Eastern Michigan University. She enjoys working at Nyman Turkish because of the opportunity to help those in need. Brittney Ragland is a legal assistant at Nyman Turkish PC. She attended Los Rios Community College and Sacramento State University. Ryan Jarecki is an application specialist at Nyman Turkish PC. Ryan earned his Bachelor’s in International Relations from U.C. Davis. udrey Seguine is an application specialist at Nyman Turkish PC. She earned her degree from Meredith College in Sociology and Criminal Justice. Jesse Yaker is an application specialist at Nyman Turkish PC. Jesse graduated from Michigan State University with a B.A. in Political Science and Pre-Law, and he plans to attend law school in the near future. Before coming to Nyman Turkish, Jesse completed a Judicial Internship at the Ingham County Circuit Court, working under the Honorable Rosemarie Aquilina. Marie Carp is an application specialist at Nyman Turkish PC. Marie earned her B.S. in Movement Science with a minor in Gender & Health Studies from the University of Michigan Ann Arbor. Ashley Celaya is an application specialist at Nyman Turkish PC. Before coming to Nyman Turkish, Ashley spent 10 years in customer service. Lindsey Bray is an application specialist at Nyman Turkish PC. She attended Sacramento State University with a major in Recreation.